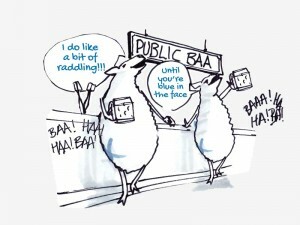 The Blue Raddle | Laughter on tap! If you’re after something a little quirky but great fun then you won’t be disappointed with The Blue Raddle. 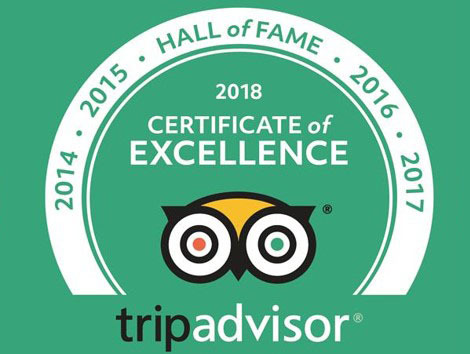 Located in the historic county town of Dorchester, Dorset, The Raddle is an intimate community pub frequented by local characters, famous for the beers and landlady concocted meals on offer. 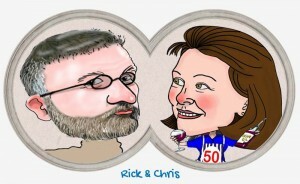 The wine and other beverage selection isn’t bad either! The Raddle hasn’t always been a pub. Prior to this it was a private residence being converted to a pub in 1850 and named The Dolphin. 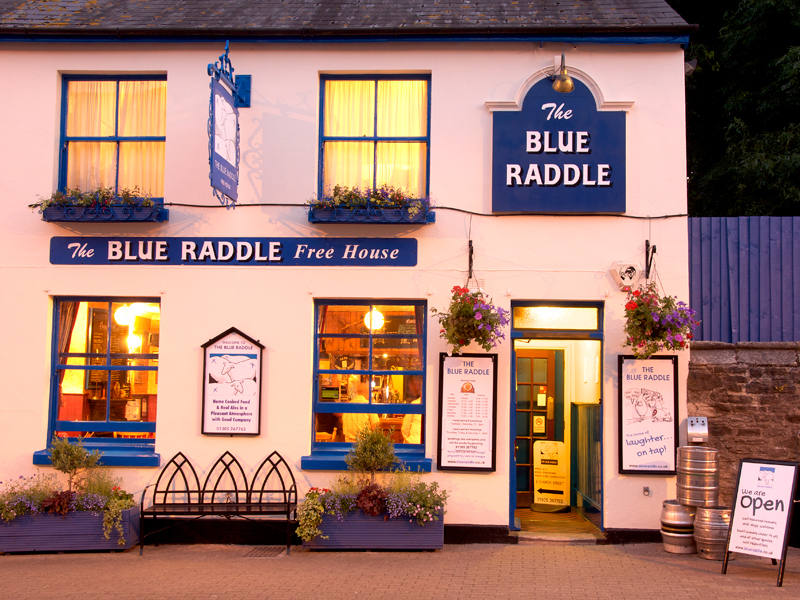 In the later part of the 20th century it was renamed several times to the Gun Room and then the Country Gentleman until eventually being named The Blue Raddle, as it is today, in the early 1990s. The name The Blue Raddle makes reference to ‘raddling’. In its basic form ‘raddle’, a coloured slop, is applied to the ‘tup’s’ brisket. The tup being a ram amongst ewes! In his efforts to tup or mate with a ewe raddle is left as evidence, thus assisting the shepherd in the management of his flock through to lambing. As more tupping attempts are made darker coloured raddle is applied. In some more refined cases raddle in the form of a coloured crayon is held in a chest harness worn by the ram. There are two such contraptions on display in The Raddle. 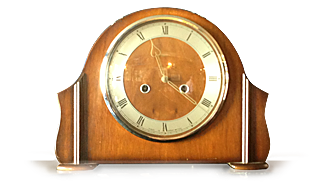 The term raddle is particularly relevant to Dorchester, the birthplace of Thomas Hardy the world renowned novelist. He depicted ‘The Raddle Man’ in his controversial novel The Return of The Native published in 1878. Whilst a handful of pubs elsewhere in the UK include raddle in their name The Blue Raddle as a pub name is unique to Dorchester. 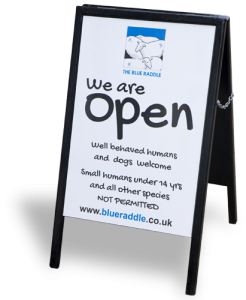 So what in more detail defines what’s on offer at The Blue Raddle? Aside from the real ales served and the heroic exploits of the landlady in the kitchen, what is striking about the place is that it can properly be described as a ‘real pub’-a ‘free house’ in old money, independent and completely owned (for the past twelve years) by the landlord and landlady, Rick and Chris Townsend. Young children are not admitted but well behaved dogs are. There are no fruit machines, no loud music played or football shown. The bar is festooned with pump clips of beers long since consumed and the walls covered with items to amuse. A visit to the loo is accompanied by the sound of comedy classics and in the gents satirical reading matter awaits. The Raddle Team ensure a welcoming and relaxed approach to proceedings and there are numerous events and musical entertainment to be sampled. 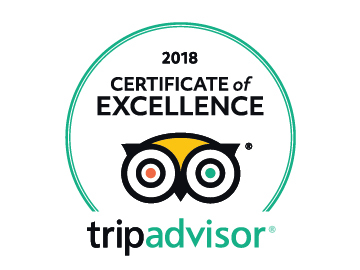 Perhaps however, most importantly what really sets an experience at The Raddle apart is all entrants are equal in status and as such can enjoy the company of fellow ‘Raddlers’ without any prejudices which are left firmly outside the door. Being small once full, which quite often it is, the atmospheric result of people chatting lifts the mood and laughter permeates the internal space from all directions. It really is laughter on tap! The Blue Raddle was voted West Dorset CAMRA pub of the year in 1996, 2007 and 2009 and was a Wessex and Channel Islands CAMRA regional pub of the year finalist in 2009. 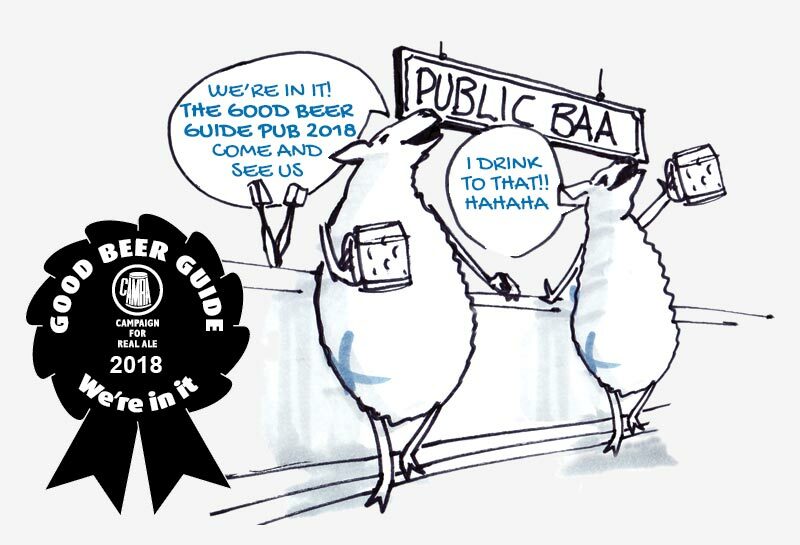 It has enjoyed uninterrupted inclusion in ‘The Good Beer Guide’ compiled and published by CAMRA since 2005 and features in the newly published 2018 guide. We accept Visa/MasterCard debit and credit cards. 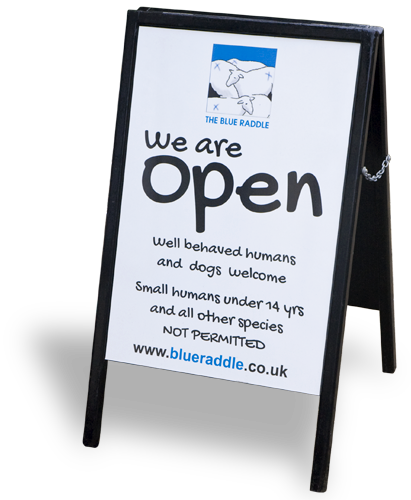 The Blue Raddle is not open on Easter Monday and both May bank holidays and the Monday August bank holiday. 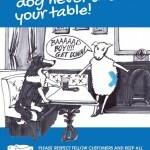 Tired of being dragged to the pub? Available in R50,000,000 (£5.00) denomination vouchers. 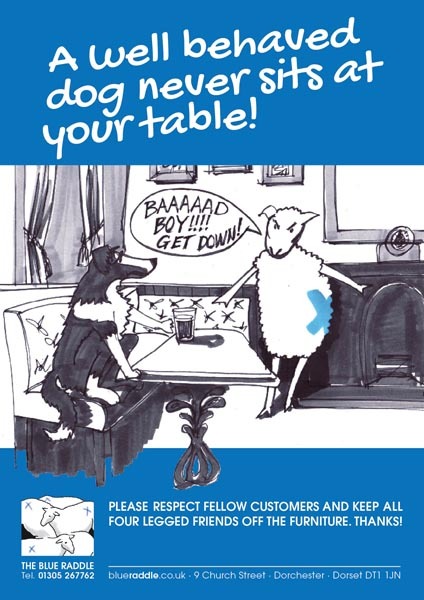 For the purchase of food or drink at The Blue Raddle only. Current exchange rate R10,000,000 to £1.00.